4 realistic male hand poses: neutral, open palm, pointing finger and fist. They come in a ztool, an imm brush and sepatate obj files. 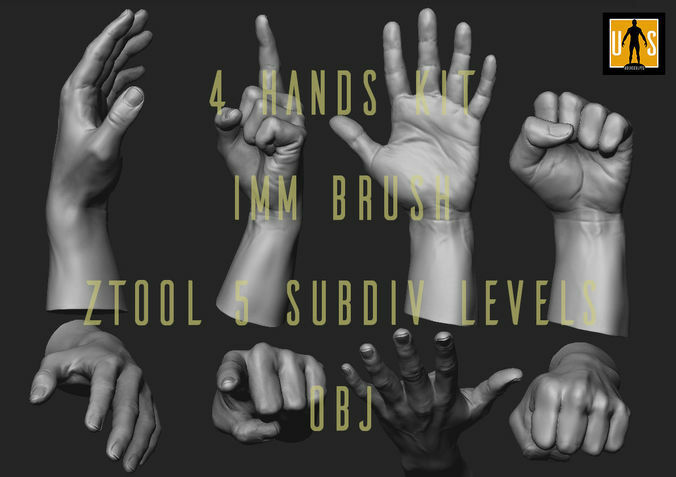 Ztool i s Zbrush 4R7 and 4R8 compatible, and it has 5 subdivision levels, so You can easily repose them any way You want . Okay. Trying to find a program to use the rigging without paying thousands, though.